Members of the Smart Campus Organization hope to make students feel connected to the campus and each other. MAE graduate student Danny Freudiger (far left) is leading the student organization. As researchers, local businesses and citizens of Columbus prepare to improve transportation and sustainability through the Smart Columbus program, Danny Freudiger, a mechanical engineering graduate student, hopes to bring similar changes to the university. Freudiger became interested in the Smart Columbus project and the Smart Cities concept in January of this year. Columbus won the U.S. Department of Transportation’s Smart Cities Challenge in June 2016, and in its grant proposal, the city offered a series of transportation solutions, from connected vehicles and smart mobility hubs to common payment methods and LED street lights that also provide wireless internet. Freudiger worked with Maryn Weimer, senior associate director of CAR, to bring students and CAR together to solve similar connectivity and mobility problems on campus. Current members are a collection of undergraduate and graduate students from a variety of backgrounds. While some students are involved in research at CAR, others are from academic areas like economics and environmental engineering. Students interested in joining the Smart Campus Organization should also enjoy collaborating with others to create concrete, multi-disciplinary solutions. The group is currently in the process of becoming an official student organization, but Freudiger shared that their goals for this first year include working on a couple projects to build a portfolio, recruiting new students, and working towards becoming a self-sustaining organization. 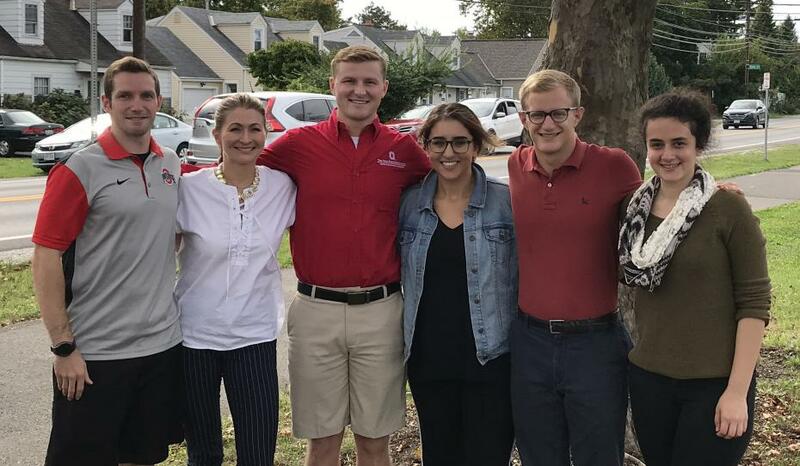 If you're interested in learning more about the group or becoming involved with the Smart Campus Organization, contact Danny Freudiger at freudiger.1@osu.edu.